Florida 434 travels a circuitous route north of Orlando through Altamonte Springs, Wekiva Springs, Winter Springs, Oviedo and the University of Central Florida (UCF) area. The state road is signed with north-south banners from Florida 50 (Colonial Boulevard) at University Park to Mitchell Hammock Road and the city of Oviedo. North from Florida 419 and Downtown Oviedo, the route uses east-west cardinal directions. The section along Forest City Road south from Altamonte Springs is also signed with east-west banners, except for at the intersection with Florida 424 (Edgewater Drive) and along John Young Parkway, which uses north-south directions. Rangeline Road south at State Road 434 in the city of Longwood. 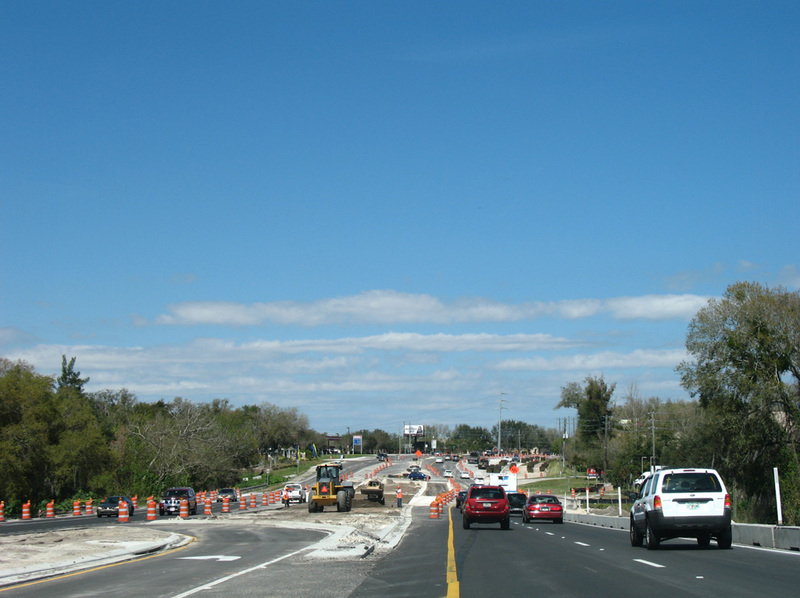 This stretch of SR 434 was expanded to six lanes in 2013-14. Photo taken 04/10/08. "New $41.8 million bridge over Orange Blossom Trail to open soon." Orlando Sentinel (FL), September 19, 2013.